Karaoke is a phenomenon that has evolved as time has gone by and this is reflected, not only on the systems and the technology, but also on the repercussion that it still has on the general public. 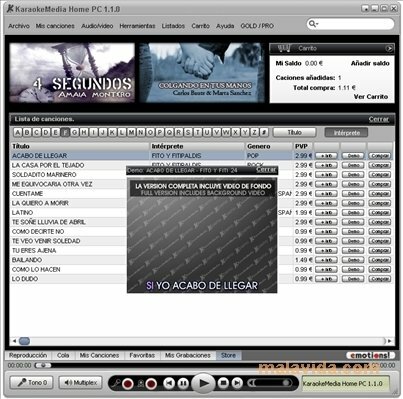 KaraokeMedia is a program that as well as allowing you to sing your collection of favorite videoclips and songs to mimic your favorite artists and groups, also allows you to acquire songs by means of an online shop (where you will find thousands of references available) or record your performances both on video as well as audio so as to share them later with whoever you want. Furthermore, the application introduces a new format known as KM3. 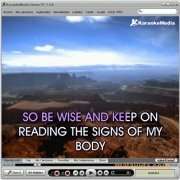 It's a very lightweight video format, that integrates the lyrics of the songs and it's perfect to be able to be sold on the Internet. 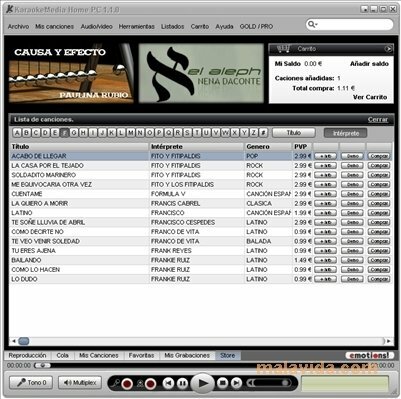 KaraokeMedia is compatible with MPG1, MPG2, MPG4, AVI, DivX, VOB, CDG, WMA, MP3, ASF, MIDI, OGG, MOV, MP4 and AAC. 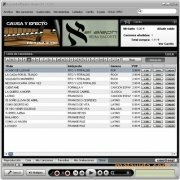 You can enjoy several free songs with the program's download, as well as being able to preview and rehearse any song on your catalog.